Owing to our rich experience and in-depth knowledge of this domain, we have been able to offer high quality Motorized Smoke Fire Damper to our valuable patrons. 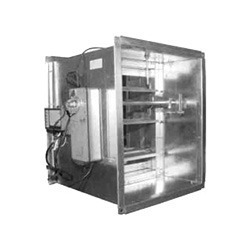 Offered products are installed in ducts or wall crossing to isolate fire zones. In addition to this, these dampers are known for their robust design. Looking for Motorized Smoke Fire Damper ?